With over 30 years of experience dedicated to family history and the largest consumer DNA network in the world, Ancestry provides its users with the best tools to discover their personal stories. Since its inception, Ancestry has been transforming random names into family and distant places into homes. Its mission is to uncover the past but also inspire people to find their true connection to the world. On September 12, Ancestry announced an update to its algorithm that will enable it to analyze longer segments of genetic information and change the way DNA data is interpreted. This will greatly increase the precision of the ethnicity estimates provided by the company. 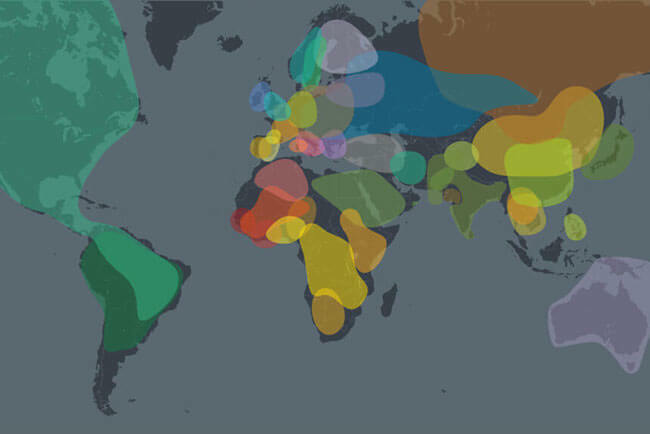 After years of building and expanding its DNA reference panel, Ancestry has obtained a better understanding of genetic signatures on a global scale, so it can now break down geographic ethnicity estimates with even greater specificity, providing its customers with a more detailed picture of their origins. The enhanced ethnicity estimates rolled out a couple of days ago, which means existing users can expect more precise results across Europe and Asia. Scandinavia, for example, will be defined as Sweden and Norway, and Asia East will be broken into six separate regions (China, Japan, Korea and Northern China, Southeast Asia-Vietnam, Southeast Asia-Dai (Tai), and the Philippines). All updates will be absolutely free of charge for all existing customers.